Diane McMahon EdS, RN, LPC has been licensed in the healing arts since 1976. Through her years of continuing education and hands-on experience, she has successfully facilitated the ethical healing, empowerment and growth of clients of all ages. Diane spent 20 years working in the nursing field as a pediatric nurse, psychiatric nurse, and as a nursing educator. Since 2001, she has worked as a counselor primarily in schools and in community-based services providing Individual, Couple, Family and Group Counseling. 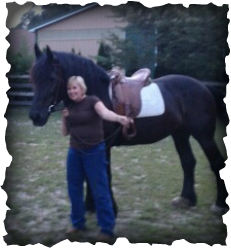 New to her curriculum vitae is the addition of the EAGALA certification using horses as part of a therapeutic process for clients.